UA Dance was invited to perform as part of the International Collegiate Theatre Festival at the Edinburgh Festival Fringe 2016. 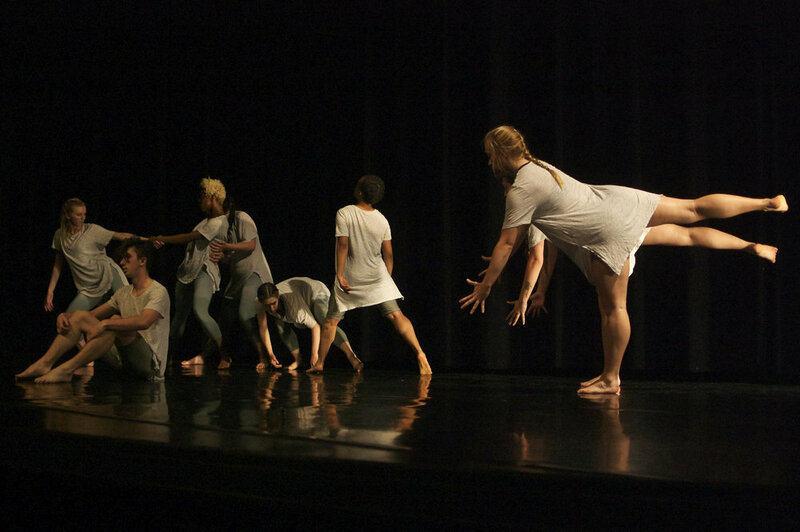 I served as choreographer and artistic director for the group, helping to weave together separate works created by 5 student choreographers and myself into one 50 minute dance around the concept of entropy. co/lapse - From a molecular level to social constructs, nature’s tendency toward disorder overrides our basic desire for systematic structure. The constant pressure to collapse into chaos is combated by our will to rise. Succumbing to gravity and the momentum of one another, six choreographers and eight dancers investigate the curious nature of entropy and its necessity as they seek equilibrium within the deterioration that surrounds us. Come watch as the performers navigate a turbulent landscape of space and time, working together to find stability in an otherwise unpredictable world. 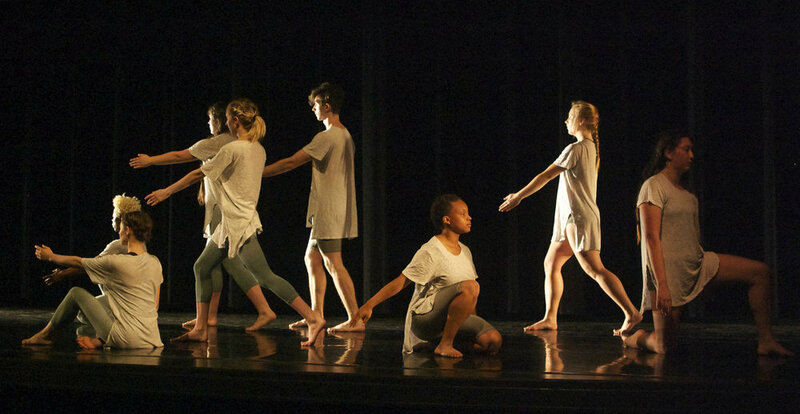 This project paved the way for the creation of Yonder Contemporary Dance Company, a collective housed within the Dance Program, which allows students and faculty to collaborate and create new works for touring.